We are delighted that two more of our projects have been approved for funding by Interreg 2Seas. PATH 2 has secured more than €5 million of European funding in its €8.5 million partnership involving 13 organisations from the UK, The Netherlands, France and Belgium and will enable women, families and healthcare professionals to prevent, diagnose and successfully manage mild and moderate PMI (perinatal mental health issues) via radical systemic change, developing an inclusive, holistic health structure: demand driven and co-created with existing patients and expectant/new parents. SHIFT has secured more than €2.5 million of European funding in its €4.2 million partnership involving 11 organisations from the UK, The Netherlands, France and Belgium (see below for partner details) and the project’s objective is to empower people aged 45+ to participate in sexual health services and to improve their sexual health and wellbeing, with an additional and specifically adapted focus on socio-economically disadvantaged groups across the 2Seas area. 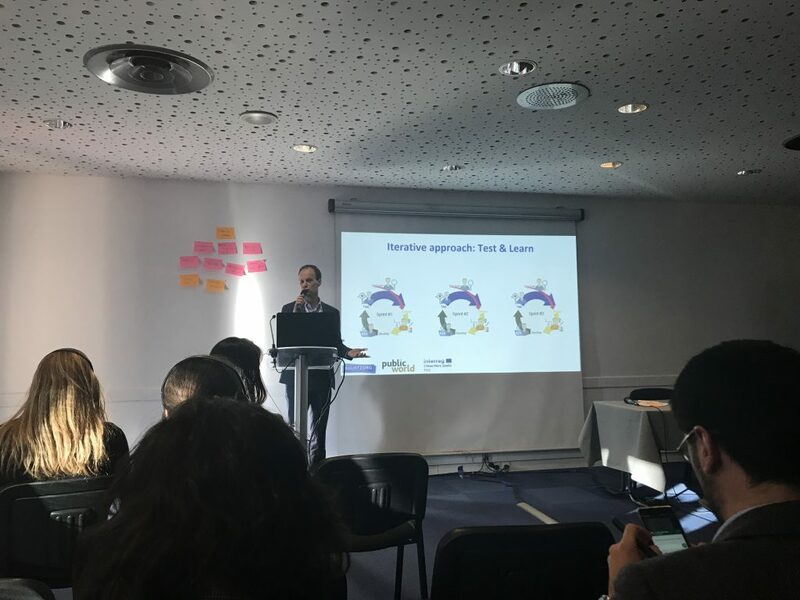 On the 29th and 30th of January, we joined out TICC (transforming integrated care in the community) partners at the Ageing Fit event in Lille to promote the project and hold its annual conference. The TICC stand drummed up plenty of interest from all over Europe, including a number of SMEs who were interested in how our partners in Kent and Medway have been able to integrate the Dutch Buurtzorg model in the UK. 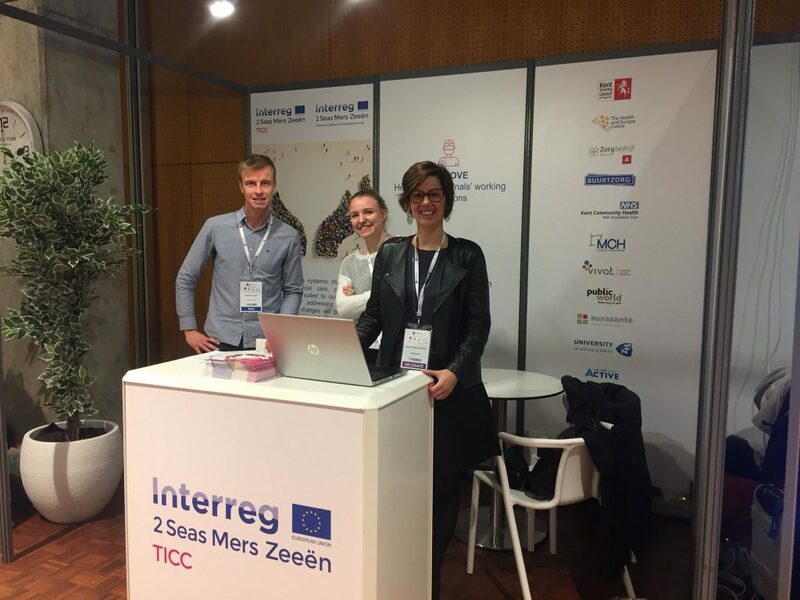 The TICC annual event, a conference entitled “The Dutch Buurtzorg model of holistic neighbourhood care is going global across the 2Seas region”, was held on day two of Ageing Fit. 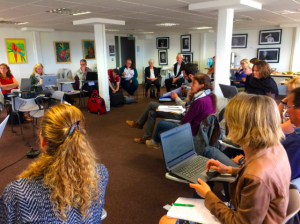 Partners including Buurtzorg, Public World, KMPT and Soignons Humain presented their experiences. Follow @2SeasTICC on Twitter to find out more about the project. Partners from La Vie Active, the Health and Europe Centre and Eurasanté man the TICC stand at Ageing Fit. Public World presented lessons from the UK when it comes to adopting Buurtzorg. 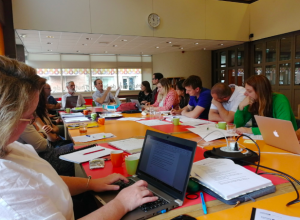 Interreg 2Seas SBS project partners met last week on the 23rd and 24th of May in The Hague to continue work on developing the project’s Men’s Sheds model. 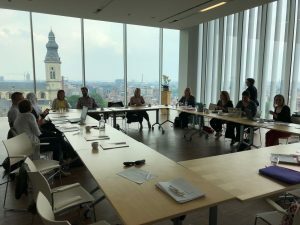 Last week some of the team were in Ghent for our half way point steering group meeting for Interreg 2Seas project DWELL. DWELL (Diabetes and WELLbeing) involves eight partners from the UK, Belgium, the Netherlands and France. 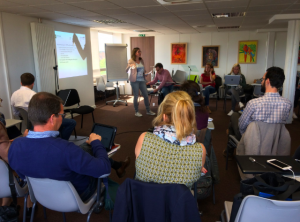 The 16th and 17th of May 2018 saw project partners meet in Lille for a steering group meetings; partners presented their progress and proposed solutions to potentiel problems. Transforming Integrated Care in the Community (TICC) will create systemic change in health & social care, providing services that are better suited to our ageing population by addressing their holistic needs. The 2Seas area is facing a common problem: rising demand for health and social care services by our growing older population creating a pressing need to find new approaches. In 2013 the over 65s made up 18.2% of the European population; 19.4% in France, 18.6% in Belgium, 18.7% in the Netherlands and 18.2 % in the UK. These figures are set to rise to a staggering 28.7% on average by 2080. With the cost of care for older people increasing it is necessary to integrate these groups more closely with their communities, keeping them healthier and in their own homes safely for longer. The challenge facing the 2Seas area is that we will run out of resources if we don’t change the ways citizens are involved in their own health and wellbeing. 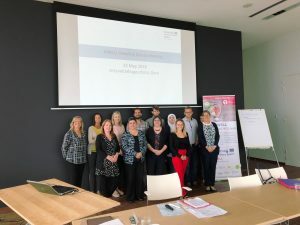 Transforming Integrated Care in the Community (TICC) has secured more than €4.8 million of European funding in this €8 million cross-border partnership involving 14 organisations from the UK, France, the Netherlands and Belgium. 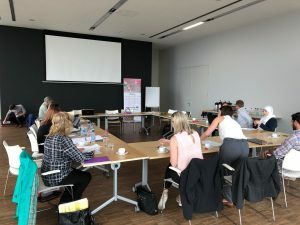 The project was approved and funded by the EU Interreg 2 Seas Programme 2014-2020 (co-funded by the European Regional Development Fund) which has supported the project over four years. TICC will create systemic change in health & social care, providing services better suited to our ageing population by addressing holistic needs. It will present a methodology to overcome blocking points in transferring socially innovative service models from one area to another. This will be tested via the implementation of the Buurtzorg integrated care at home model which consists of self-managing teams of 12 staff working at neighbourhood level handling every aspect of care & business. This model significantly reduces the back office, simplifies IT & coaches rather than manages, providing better outcomes for people, lower costs, fewer unplanned hospital admissions & consistency of care. TICC will enable other health/social care organisations to implement new ideas; increase staff productivity, recruitment and retention as well as improving patient satisfaction & decreasing costs, emergency admissions and staff absences. It aims to postpone the moment when residential or end of life care is needed. 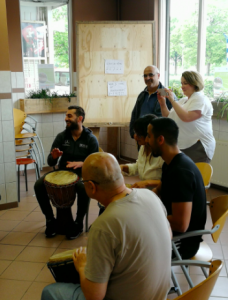 This exciting project has just made its first claim, following a really interesting visit to ZorgSaam to look at the care model and local context.